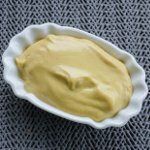 National Mustard Day is the annual celebration that is held at the National Mustard Museum in Middleton, Wisconsin on the first Saturday in August. Mustard is a condiment made from the seeds of a mustard plant. The whole, bruised, cracked, or ground seeds are mixed with liquid (water, lemon juice, vinegar, oil), salt and sometimes spices to create a sauce or paste. Mustards comes in a variety of tastes, ranging from sweet to spicy. The National Mustard Museum began in 1986 when Barry Levenson, its founder and curator, started collecting mustards. It opened to the general public in Mount Horeb, Wisconsin in 1992. It was originally named the Mount Horeb Mustard Museum. In 2009, it moved to Middleton and acquired its present name. The museum's collection consists of more than 5,600 prepared mustards from more than 70 countries. The National Mustard Museum became the official sponsor of National Mustard Day in 1991. This event traditionally includes games, music, interactive kids shows, other entertaining activities, free mustard sampling, free hot dogs and more. Since 2010, the event is held in Middleton. It is attended by more than 6,000 people annually, raising thousands of dollars for local charity.